Although most know the importance of American Red Cross efforts in disaster relief today, fewer know that our local chapter was officially formed 100 years ago on January 11, 1918. That’s quite a history of volunteer service. Since it is now the start of National Volunteer Month, we have chosen the San Juan County Chapter of the American Red Cross as our April focus. 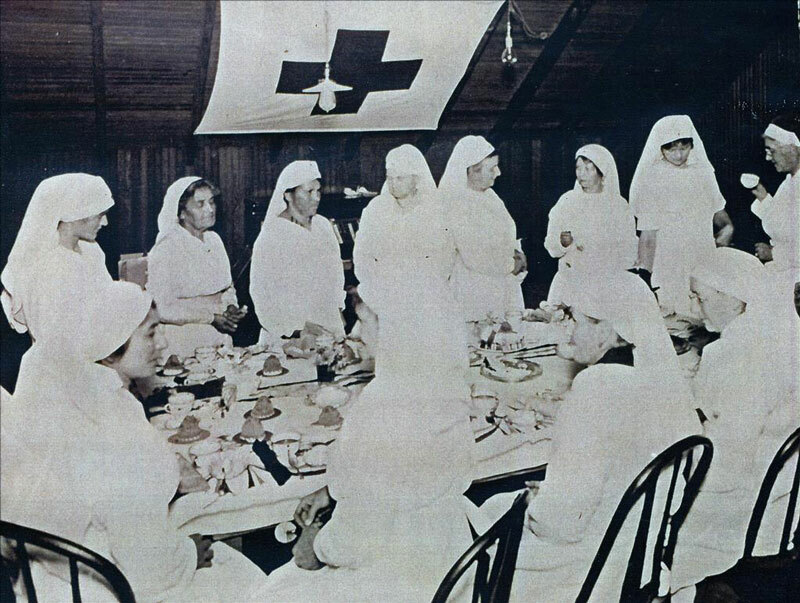 During World War I, much was written in the Friday Harbor Journal about the war effort and the many ways in which islanders could support Red Cross aid activities. In true island fashion, people here did not need much encouragement to organize sewing projects for bandages, hospital gowns, and the like. As knitters do today, socks and mufflers flew from needles to camps and hospitals in need. And those volunteers didn’t need to wait for a local Red Cross chapter to be established. Much of this critical activity was prior to that benchmark date in 1918 when the Friday Harbor headquarters for the county chapter was authorized. Indeed, San Juan County Red Cross volunteers are said to have created over 33,000 aid items, from surgical supplies to sweaters by war’s end. Modern day activities are more often in the form of relief from natural disasters, such as fires and floods. Community and world needs spike and change. The constant is the dedication of the American Red Cross and its volunteers. To read more about the history of the Red Cross and its place in our community, click HistoryLink to go directly to Lynne Weber/Roochvarg’s excellent and well-researched article. It inspired the writing of this column. Do you have a story to share about the history of the Red Cross here on the island? You can help preserve our unique history by contacting the San Juan Historical Society and Museum.